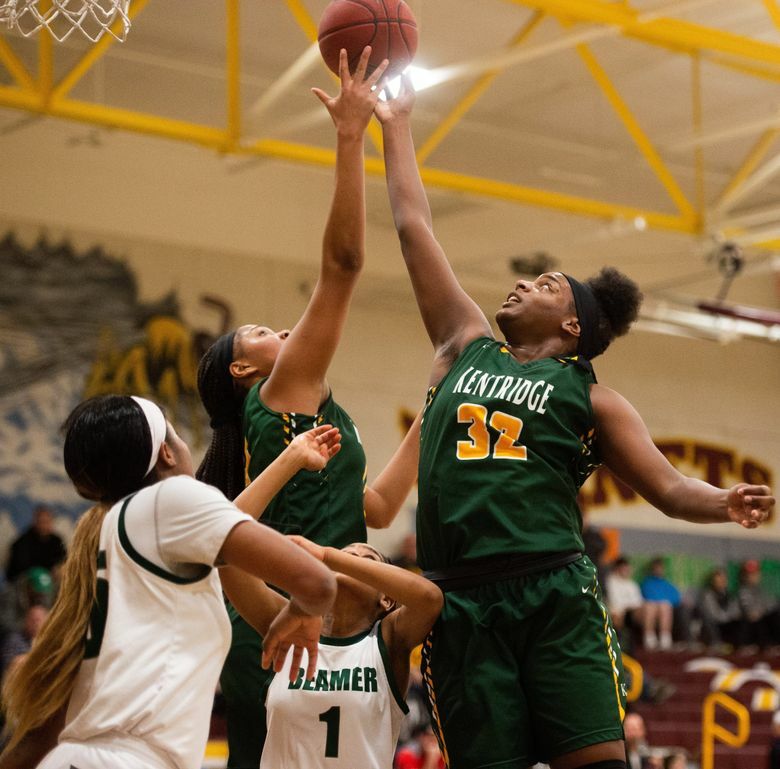 With senior post JaQuaya Miller and Jordyn Jenkins leading the way, the Kentridge girls basketball team has a tendency to wear down its opponent. The Chargers were challenged by Todd Beamer in Saturday’s NPSL championship game at Enumclaw High School, but eventually the Titans wore down like so many of Kentridge’s opponents before them. The Chargers finished the third quarter on a 15-0 run to separate from the Titans and went on to win 78-51. Jenkins, a junior, benefited the most from the added touches, finishing with a game-high 30 points. Jenkins scored seven of her team’s 15 points during the run that ended the third quarter. Denckla contributed in more ways than just passing. The junior guard finished with 10 points, including back-to-back threes in the second quarter that extended the Chargers’ lead to 13 at the time, and seemed to spark the team.